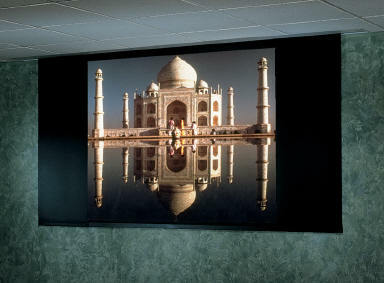 Electric, tab-tensioned front projector screen with independently motorized masking system installed in the same case for dual format projection. 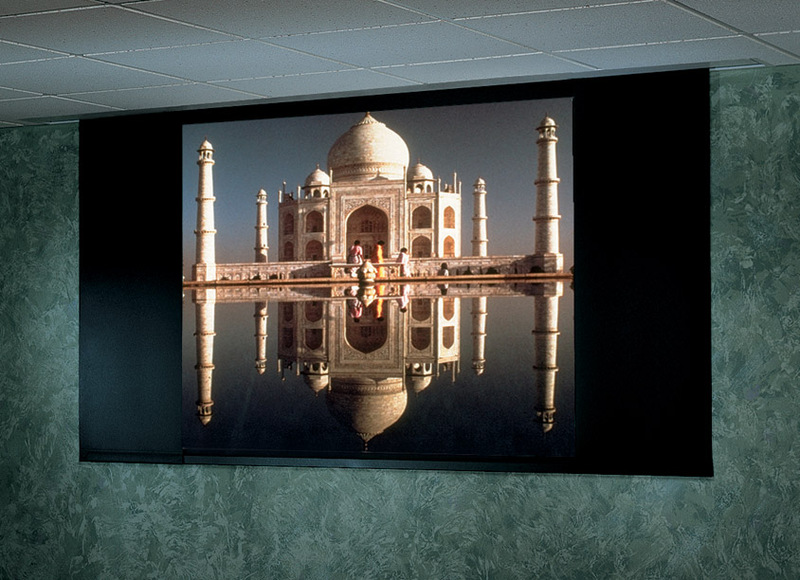 Both projection screen and masking system are independently controlled, each using any standard or optional control. Two, SS-1Rs are standard. Or, select AMV-C, a low voltage control that allows both motors to be controlled by independent 3-button switches in a single box.